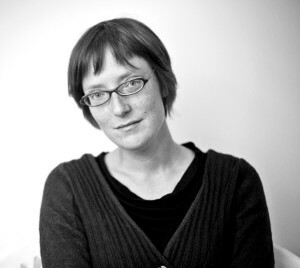 Kate Cayley is a fiction writer, playwright, and poet. Her short story collection, How You Were Born, won the 2015 Trillium Book Award and was a finalist for the Governor General’s Award and the ReLit Award. Her first collection of poetry, When This World Comes to an End, was shortlisted for the ReLit Award, and her young adult novel, The Hangman in the Mirror, won the Geoffrey Bilson Award for Historical Fiction. She is the co-founder and artistic director of Stranger Theatre, and has co-created, directed and written eight plays with the company; her work with Stranger Theatre has been seen in Toronto, Montreal, Halifax, Chicago, Philadelphia, New York City and Istanbul. She was a playwright-in-residence at Tarragon Theatre from 2009-2017, and has written two plays for Tarragon, After Akhmatova, and The Bakelite Masterpiece, which was subsequently produced in the US by The Berkshire Theatre Group (Stockbridge, MA) in fall 2016, and by New Rep Theatre in Boston in spring 2018. She is a frequent collaborator with immersive theatre company Zuppa Theatre, with two commissions from the company: The Archive of Missing Things and This Is Nowhere. Her short stories, poems and essays have appeared in a wide variety of magazines, and in The O. Henry Prize Stories 2017. She is the Writer-in-Residence at McMaster University for the 2018-19 academic year, and lives in Toronto with her partner and their three children.